Jazz Pakistan always introduced many new and unique offers for its customers. It the No. 1 telecom company in Pakistan that is facilitating its customers on low rates. Now it bring a new device named Jazz Digit 4G for its customers. It has many excellent features and only in Rs.4999/. The new Jazz Digit 4G has 512MB RAM, 2MP Rear camera, VGA Front, 4GB memory and 2.4Inches display screen. There is one more thing related to the new Jazz Digit 4G and that is Free 6GB LTE internet for 6 Months. You can also get Free Data SIM with 5GB Free Internet for Wi-Fi Hotspot. So it is really a big bundle for basic users with simple user interface in affordable price. The new Jazz Digit 4G is a touchscreen device with WhatsApp and Facebook. You can also use Jazz Digit 4G as an MBB device by activating its Wi-Fi hotspot feature. 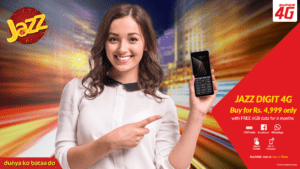 The complete features and details of new Jazz Digit 4G are here for you. Don’t forget to check these details before buying this handset. 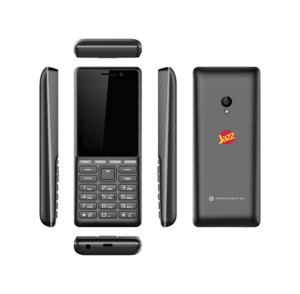 Jazz bring a new handset named Jazz Digit 4G with many excellent features. It is really an innovative handset which has all the core features of a smartphone. This handset keeps the user interface simple for Basic users so that they can use it easily. Jazz Digit 4G is a touch screen device with WhatsApp and Facebook. The users of Jazz Digit 4G can also be used it as an MBB device by activating its Wi-Fi hotspot feature.